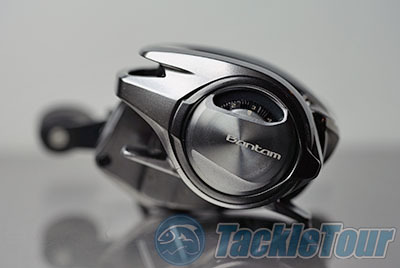 From the first moment I picked up the Bantam reel I could immediately tell how solid this new reel felt. In real life they have a much smaller footprint than how they appear in images, and I found the Bantam to be especially comfortable to palm. This really is a 150 size reel when it comes to form factor. 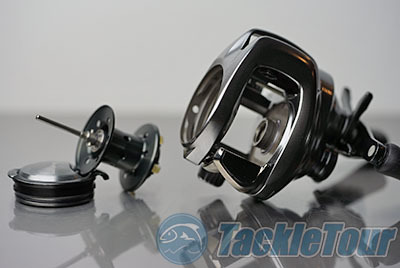 The reel�s silver-nickel finish is simple and elegant, not a lot of bling here, and the colors (or lack of colors) reinforce the fact that we are looking at a solid one piece aluminum platform. Anglers in the US don't have easy access to Bantam Series rods but I was just in Japan last week and if I had any more luggage room would have brought back a JDM Shimano Bantam rod which has a reel seat that matches this nickel finish exactly. 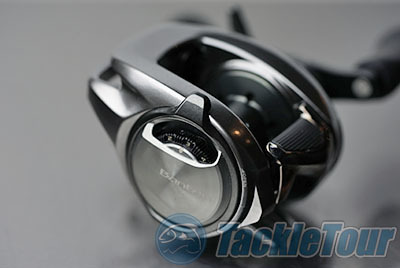 For now I'll be testing this reel with Shimano Expride and G.Loomis Conquest rods. 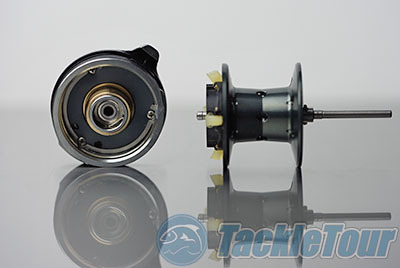 In the lab we were able to get a closer look at the reel and when it comes to tolerances the Bantam is easily as good as some of the company�s higher end, much more expensive reels. This reel is built with precision and everything from the gear alignment to the levelwind feels more solid thanks to the lack of flex in this solid platform. 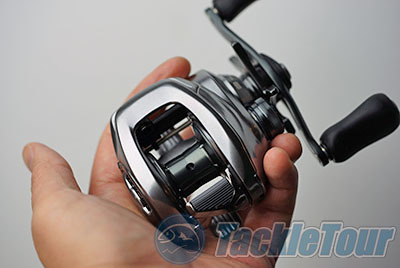 Like higher-end Shimano reels from the Chronarch on up the Bantam is made in the company's factories in Japan, and even though it is relatively heavy for a reel of this size I absolutely love how solid it feels not only in hand but also how connected it feels when cranked. The Bantam feels higher end and a lot more refined than the already very polished Curado K and Chronarch MGL reels. 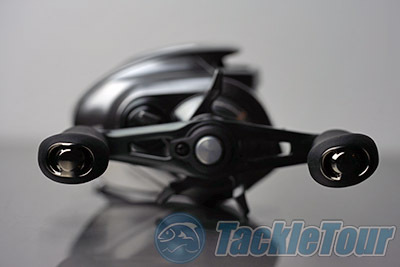 Anglers that fish the Shimano Calcutta D love how solid the reel feels with the integrated design but really dislike not being able to access the spool and brakes easily. 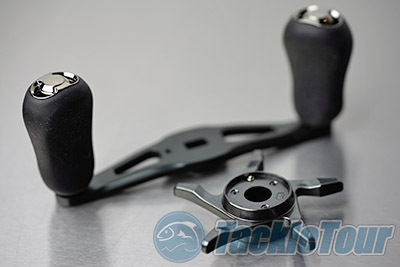 The Bantam�s answer to this is a cold-forged aluminum brake adjustment dial housing which is exposed on the palming side of the reel.